Smoke Centurion is a new aerosol tester for checking the functionality of smoke detectors. Designed to test the widest possible range of smoke detectors, Smoke Centurion offers efficient testing in a simple-to-use format either hand-held or with use of a dispenser. Smoke Centurion can be used either hand-held or with the Solo 330 dispenser, offering ultimate flexibility and convenience on-site. Case of 12 2.6oz cans. 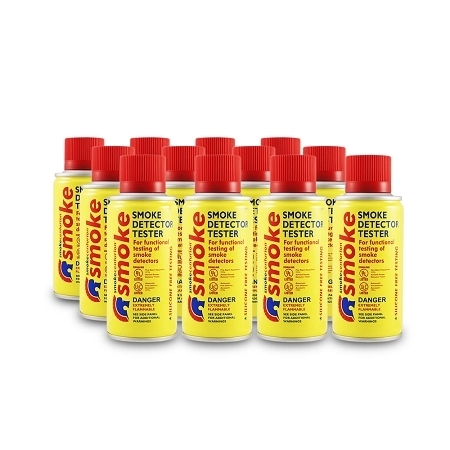 Smoke Centurion is a new aerosol tester for checking the functionality of smoke detectors. Designed to test the widest possible range of smoke detectors, Smoke Centurion offers efficient testing in a simple-to-use format either hand-held or with use of a dispenser.